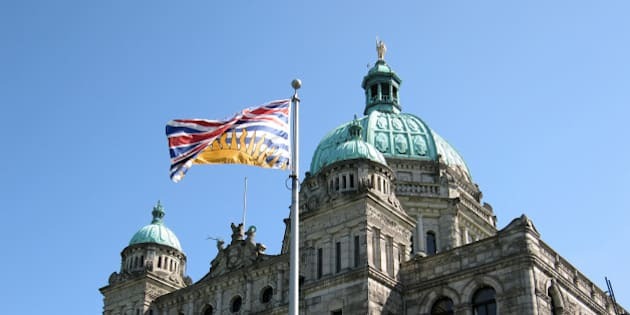 VICTORIA - The credit rating on B.C. 's debt has been downgraded to AAA-negative from AAA-stable by Moody's Investors Service because of a softening economy and weaker commodity prices. The change follows the release of the province's second quarterly financial report last month by Finance Minister Mike de Jong, who reported the province's annual deficit was projected to reach $1.47 billion, up from an earlier forecast of $1.1 billion. De Jong blamed the problem on falling property taxes and lower prices for coal and natural gas, but insisted the government will still balance the budget next February. NDP finance critic Bruce Ralston said Wednesday the Moody's downgrade makes if difficult to believe de Jong will be able to do that. But Attorney General Shirley Bond, who is also vice-chair of the Treasury Board, said the change instead is a warning sign that serves to strengthen the government's resolve to control spending. "No question, tough choices will be required, but we have the discipline to make them and the ability to do it in a balanced way that preserves funding for health care, education and critical infrastructure," she said in a statement released later in the day. "We cannot forget that a major cause of the global economic downturn is economic jurisdictions that overspent." Bond noted the province has had seven consecutive credit upgrades from major credit rating agencies since 2004, which she said is a testament to the government's fiscal discipline. Moody's Assistant Vice President Jennifer Wong said the company lowered B.C. 's debt credit rating because of the risks the province faces in trying to check the rise in debt, in the face of a softening economy and weaker commodity prices. However, she said the province is working to hit its fiscal targets and if it's able to do that the credit rating could be raised back to stable.